Cali is the newest Ontario driver on the road. 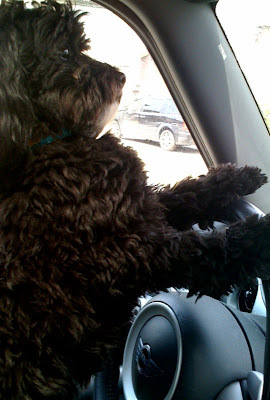 She earned her doggie driver's license just a little while ago with flying colours. She is own of the first doggies to earn her freedom on the roads, and a Havanese no less. Cali says “driving on the highways still make me a bit nervous and I stop at all fire hydrants I pass”. Cali's mommy, Caillee, is reported to be extremely proud and begs that her puppy girl stays safe.